BRUSSELS (Reuters) - Even if it survives the next three months teetering on the brink of bankruptcy, Greece may have blown its best chance of a long-term debt deal by alienating its euro zone partners when it most needed their support. Prime Minister Alexis Tsipras' leftist-led government has so thoroughly shattered creditors' trust that solutions which might have been on offer a few weeks ago now seem out of reach. Since outright debt forgiveness is politically impossible, the next best solution would be for Greece to pay off its expensive IMF loans early, redeem bonds held by the European Central Bank and extend the maturity of loans from euro zone governments to secure lower interest rates for years to come. "This step would save Greece's budget billions of euros, while reforming the Troika arrangement, eliminating the IMF's and the ECB's financial exposure to Greece," said Jacob Funk Kirkegaard, senior fellow at the Peterson Institute for International Economics, who advocates such an arrangement. It would lower the effective interest rate on Greek debt to less than 2 percent, far less than Athens was paying before the euro zone debt crisis began in 2009, and radically reduce the principal amount to be repaid over the next decade, giving Greece fiscal breathing space to revive its economy. And unlike ideas floated by Greek Finance Minister Yanis Varoufakis to swap euro zone loans for GDP-linked bonds and ECB holdings with perpetual bonds, paying out the IMF and the ECB early would be legal and supported by precedent. A euro zone official said there had been exploratory talks with the previous conservative-led Greek government about such a plan last year, before then Prime Minister Antonis Samaras chose to bring forward an election he lost rather than complete a bitterly unpopular bailout program. "Now it's a political non-starter," said a euro zone official. "There's just no appetite in the euro zone for a grand bargain to take over Greece's debt to the IMF and the ECB." Tsipras' denunciations of EU-prescribed austerity, demands for German war reparations and cosying up to Russian President Vladimir Putin, and Varoufakis' foot-dragging on reform negotiations and initial calls for a "haircut" on Greek debt, have dried up the reservoir of sympathy for Athens. Creditors like Germany, the Netherlands and Finland are bent on keeping the IMF involved as an enforcer of economic reform and fiscal discipline because they don't trust the Greeks to keep their word, nor the European Commission to hold them to it. "They would prefer to provide debt relief on an annual basis so they keep leverage on Greece to stick to the program," said Miranda Xafa, senior scholar at the Centre for International Governance Innovation and a consultant on Greek debt. 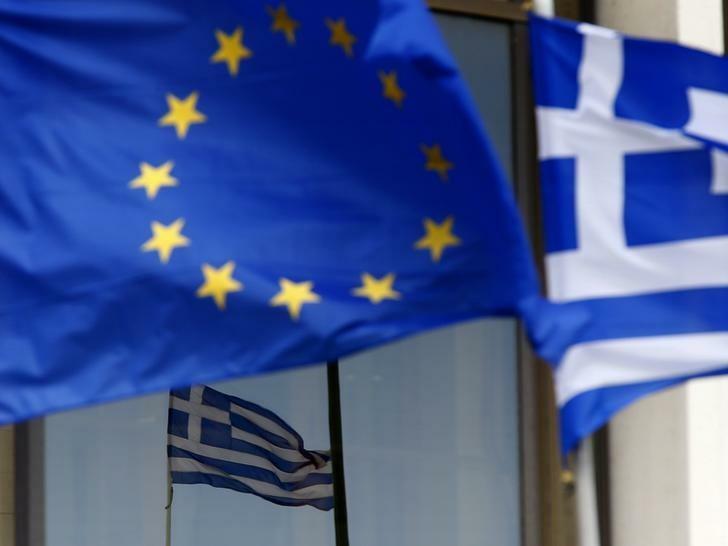 True, euro zone peers Ireland and Portugal, which received international bailouts after Greece, won EU agreement to pay off their costlier IMF loans faster, raising hopes in Athens. "Ireland and Portugal are governments in difficulty, but they are not difficult governments," said Elena Daly, principal at EM Conseil, a Paris-based sovereign debt management adviser. Since Greece is stalling on its program and lacks market access, the only way it could pay off 24 billion euros owed to the IMF and redeem 27 billion euros of bonds held by the ECB would be for the euro zone's rescue fund to lend it the money. That in turn would require euro zone governments to convince their parliaments to risk more taxpayers' money than the roughly 170 billion euros they have already lent Greece in two bailouts totalling 240 billion euros. Many economists and euro zone officials believe Athens will anyway need a third bailout of around 30 billion euros this year, even though Tsipras insists Athens does not want that. Euro zone finance ministers promised in 2012 to "consider further measures and assistance" to ease Greece's debt provided it stuck to the terms of its program, which it has not done. Both Xafa and Daly said Tsipras had put himself in a near impossible position by making election promises incompatible with keeping the confidence of Greece's creditors. He needs to change the politics fast to have a chance of fixing the economics without resorting to capital controls, paying civil servants with IOUs or defaulting on foreign governments and being forced out of the euro zone, they argue. A referendum asking Greeks if they want to stay in the euro at the price of painful economic reforms, or a quick coalition change to bring in pro-reform centrists, may be his best options, even if they split his Syriza party. Greece's official creditors meanwhile are torn between wanting to keep it in the euro zone to avoid the precedent of a country exiting, and fearing that if Tsipras manages to roll back austerity and secure debt relief, he could embolden like-minded political forces in Ireland, Portugal and Spain. "So they want Greece to prosper and stay in the euro while at the same time wanting the new administration to fall on its face and become an object lesson for other electorates who may be toying with the idea of rebellion," Daly said.